Definition: Junk Removal is a service that involves the pick up and removal of unwanted items. Depending on the items being hauled and the junk removal service provider the pricing will vary. Once the items have been removed from the property they are hauled away never to be seen again. Across our nation and within our own local communities citizens are starting various remodeling/renovation, or cleanout projects to improve their homes and businesses. The byproduct of making these improvements and changes leaves behind both junk and trash that needs to be removed. 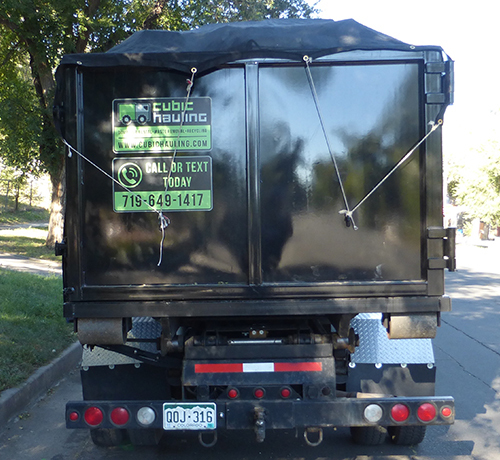 At Cubic Hauling we offer the right solution to get your junk collected and removed. Our variously sized dumpsters are designed to handle a multitude of projects. 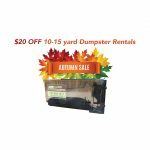 Whether you are moving and find yourself with items you don’t want to take with, trying to clear out more space in your basement or simply overwhelmed with all that stuff the pack rat in your home has accumulated we are confident that we can provide the correct junk dumpster for your needs. 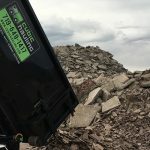 We are experts in determining what size junk dumpster will fit you projects needs and will give recommendations tailored to your specific project. 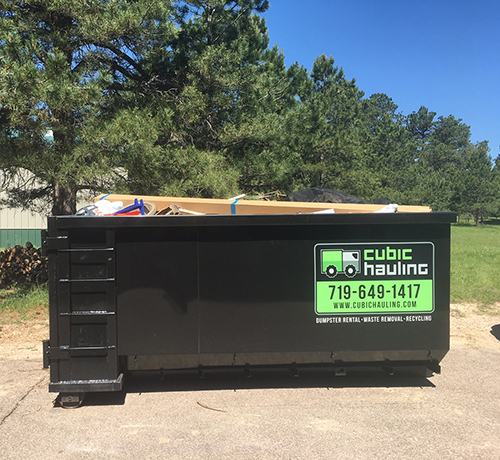 Give Cubic Hauling a call at 719-649-1417 so that we can help streamline the junk removal process for you! We haul junk for homes and businesses including offices, retail locations, construction sites, and more. Our expert team will enjoy solving all your residential or commercial junk removal needs. 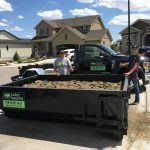 Cubic Hauling offers junk removal dumpster rentals in Colorado Springs and the surrounding metro areas. We serve commercial & residential customers for construction cleanup, cleanouts, junk hauling, recycling, waste removal, and more. Call today at (719) 649-1417 for a free estimate!